Linda Ricchiuti, M.A. Ed – Linda Ricchiuti’s career in education has spanned over 23 years. For the past ten years, Linda has been a co-owner of an emerging technology business that grew from the garage into a market leading company that was purchased by the largest educational publisher in the United States, Houghton Mifflin Harcourt. Prior to working in the educational technology industry, Linda was a high school English teacher in Riverside and Big Bear. She is a nationally recognized speaker in the areas of professional services, data and assessment analysis and change management. As Senior Director for Houghton Mifflin Harcourt, Linda’s responsibilities included technical design and product life cycle development, developing and delivering professional development services for clients, sales and support, training staff, team building and most importantly, customer service, relations and support. She has authored several published articles, and white papers, as well as several successful competitive Request for Proposals resulting in millions of dollars of revenue. 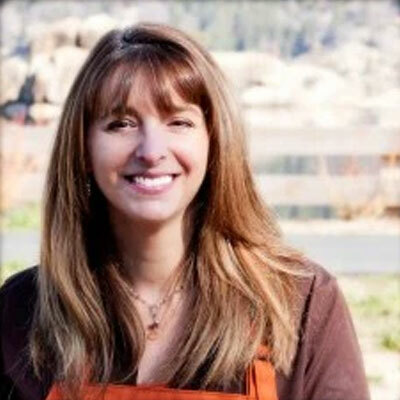 Linda and her husband Kent Stalcup together own four business in the Big Bear Valley, including Stalcup Landscape Innovations for almost 30 years and the newest addition to the group, The Copper Q. They also have two daughters attending schools in the Bear Valley Unified School District.